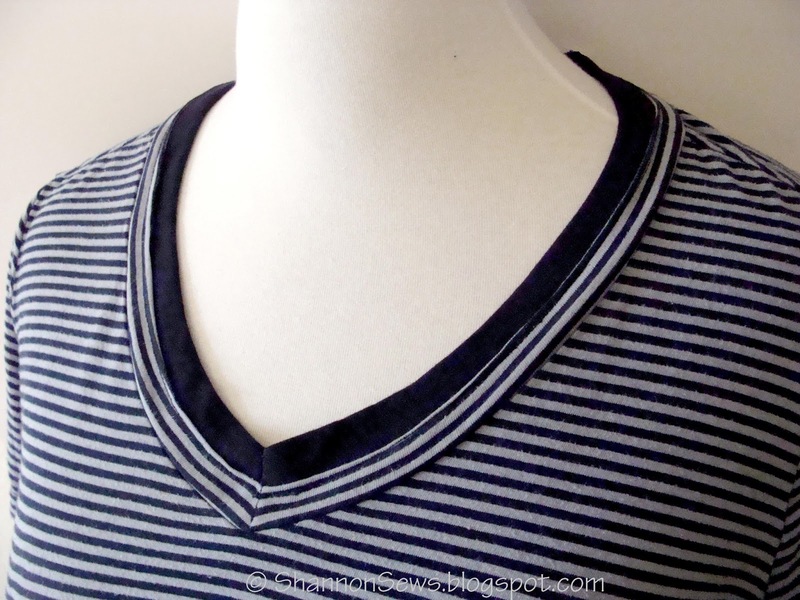 I've had this cute striped dip-dyed t-shirt for a while, but rarely wore it because the neckline was just too low. I tried wearing a cami under it, but it felt a bit too bulky. A while back, I had even come up with a few different ideas for altering this low neckline, but in the end, nothing seemed right. In an attempt to find something to wear the other day, I decided I'd take the time to fix the neckline as simply as I could. If I ruined it, it would still just be in the closet anyway, so nothing lost, right?? Fixing a low neckline on a t-shirt is really easy, especially after I stumbled upon the BEST video tutorial on adding a neckline binding to knits, which I promptly pinned to my Pinterest Sewing Tips Board! 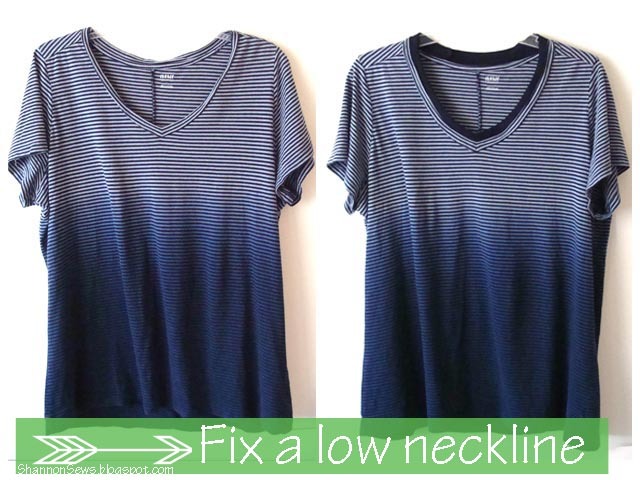 She shows you how to pin and stretch your neckline binding at just the right time to ensure your neckline doesn't bubble or gape. I could seriously hug this woman! She has taken the mystery out of altering t-shirt necklines forever! To fix this v-neck, I first measured the existing neckline and cut a strip that size (you will end up cutting some off). I ended up just using the bottom hem from a dark blue t-shirt, but it was the equivalent of cutting a 2" strip and folding it over. 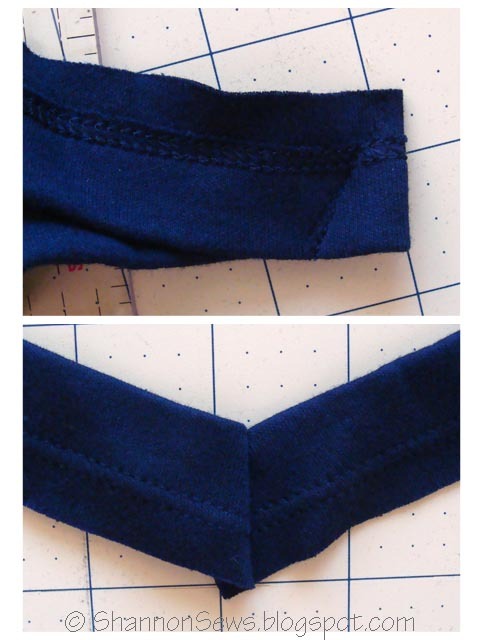 To create the v-shape, I folded the middle of the strip in half (right sides together) and stitched on a diagonal. When adding binding to your t-shirt neckline, the binding will be smaller than your neckline. 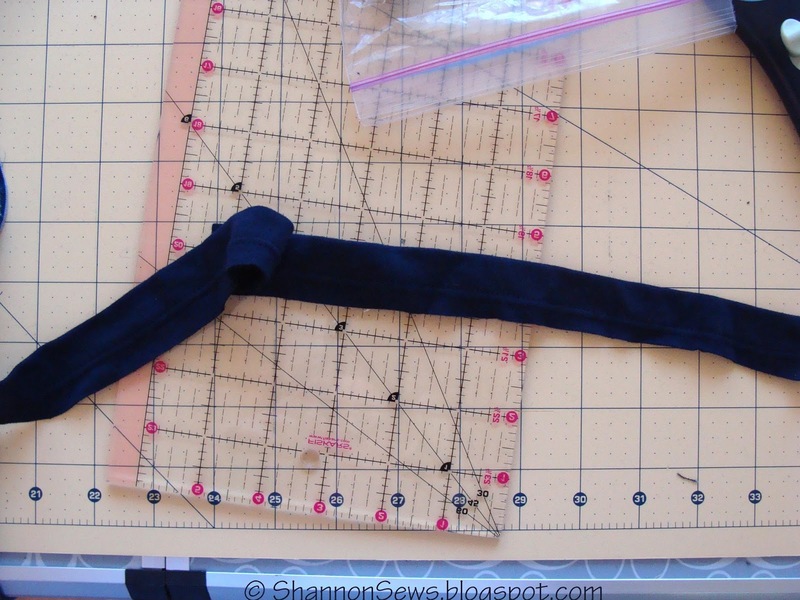 Watch the Threads neckline binding tutorial to see how to measure and where to pin and stretch in all the right places! It seriously will change your life. After pinning and stretching and stitching in all the right ways, my neckline turned out just the way I hoped it would. Shocker! Now I have one more thing to wear! And it looks like it could have easily been made that way from the beginning. 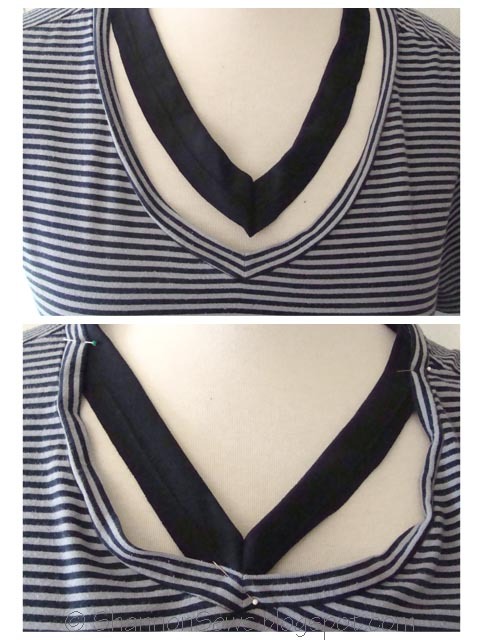 How's that for an easy breezy neckline?! Thanks so much for your comment Ana! Adding to an existing neckline worked better for me than cutting it off and trying to add a thicker piece. Hope it helps you too! :) By the way, I LOVE the idea of a summer sewing camp. Such a fun activity for kids!! This is cool. I love your idea. I would like to invite you to share your favorite projects/crafts/fashion/photography/recipes/humor/personal advice/blog tips and tricks at Pin It Monday Hop, It's a Pinterest Party (Link). Come over, have fun and get pinned. I hope to see you there. Thanks for the invite Judy! I'll hop on over to your party! I have quite a few shirts that would benefit from this kind of update. Thanks for sharing! 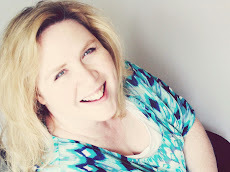 I'm your newest follower and would love for you to follow my blog http://hoybycrafts.blogspot.com. After all, we Shannon's need to stick together! 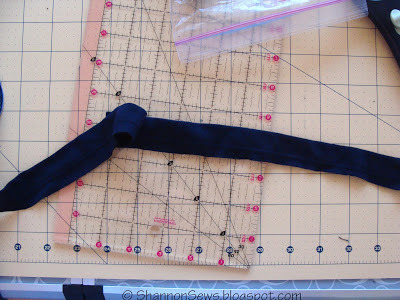 Sewing a straight skirt: a first!